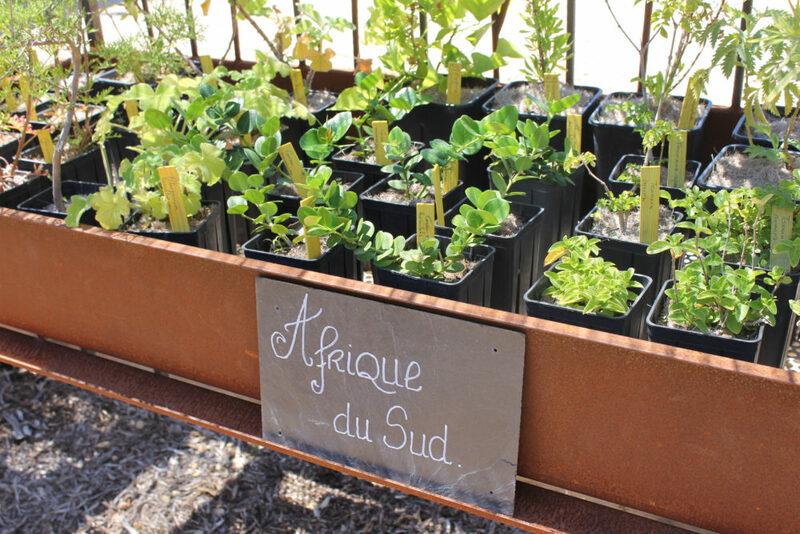 the second is to offer visitors the opportunity to leave with a souvenir of the Gardens, and to choose plants particularly well adapted to the gardens of the region and even elsewhere. 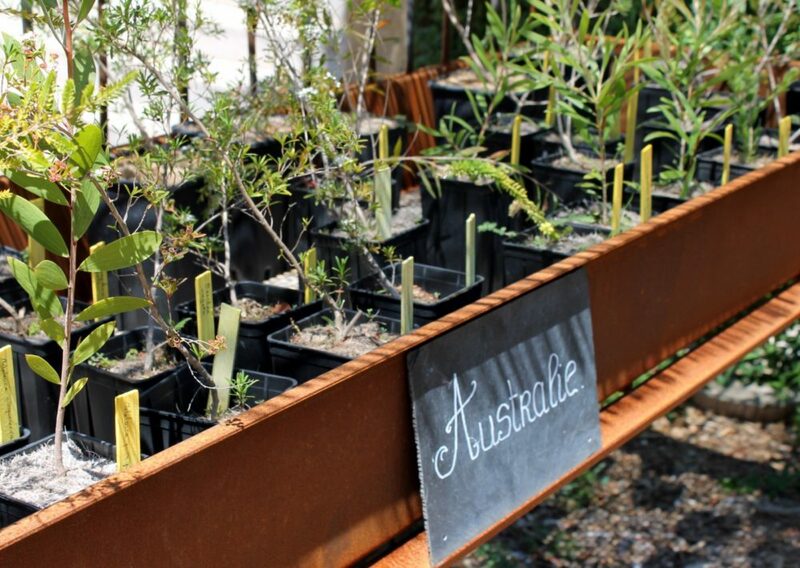 ‘Sustainable and desirable’, the nursery’s goal is to produce without depleting resources, and aims to be ecological. Of course, as in the Gardens themselves, no synthetic inputs are permitted in the growing medium (no fertilisers or pesticides). Soil straight from the Gardens is systematically used to make the medium in order to facilitate the future acclimatisation of the plant. Mediums are adapted according to the plants produced. Plants’ root systems and natural balance are respected. As much waste as possible generated by the production process is recovered and recycled. All the plants produced come from the Gardens. This involves cuttings for the most part, and seedlings for those for which taking cuttings is not feasible. We do not carry out any purchase/resale operations. The list of plants sold at the Nursery is accessible via the Plant Catalogue. However, since many plants are undergoing propagation and breeding, this list is likely to change over time. If you have noticed a tree or shrub during your visit, or if you are looking for a rare species for your collection that is not mentioned in the list but that you know is growing at the Domaine du Rayol, please feel free to contact us via the form below. Should it be available in our propagation nursery, we will reserve it for you and schedule an appointment to meet. Admission to the Gardens is not required to access the Nursery. Opening times: The nursery is open every day from 9:30am until 15 minutes before the Gardens close. Gardening tip sessions are currently held from wednesdays to sundays, from 2:30pm until the Gardens close. Gardening factsheets are available at reception.